The hunt for suspects in Monday’s Boston marathon bombing is ongoing. Amid lots of misreporting from major media outlets, Pete Williams and the NBC News team have been consistently reliable on separating fact from fiction. The Journal has one of the more comprehensive profiles so far of the two brothers suspected to be behind the bombings. A detailed rundown of everything that happened between the shooting of an MIT police officer, and the lockdown. “Minutes before the bombs blew up in Boston, Jeff Bauman looked into the eyes of the man who tried to kill him.” How one victim of Monday’s explosion pointed police toward the brothers police are now on the hunt for. The New York Times has mapped where last night’s events occurred. The Journal lays out which parts of Boston and surrounding towns are currently on lockdown. Washington Post’s interactive maps the suspects’ likely path during the marathon, as well as the sites of last night’s events. Multiple news outlets (including NBC News and Buzzfeed) have aggregated Instagram images from Boston residents and reporters, painting a stark picture of the Boston’s full security lockdown. Watertown: A public Twitter list of reporters on the scene to follow, as they cover the hunt in Watertown, outside Boston. @fstockman: Farah Stockman, veteran foreign correspondent and now editorial writer for the Globe, lives a block away from one of brothers. @paulsonne: Paul Sonne, Moscow correspondent for the Wall Street Journal. 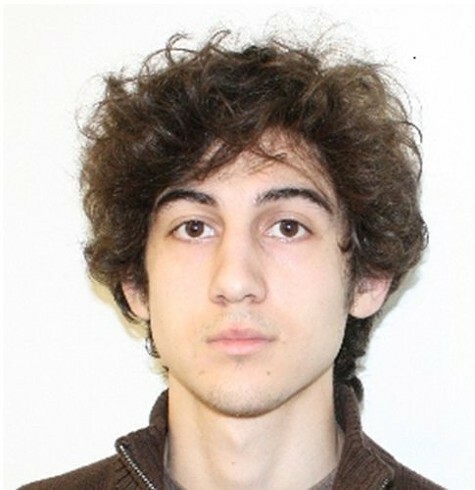 He’s been tweeting about the Tsarnaev brothers’ roots in Russia.